Apologies for another late entry to this. I attended a friend’s birthday bash late on Saturday and didn’t want to update incase we managed to get in a game or two. That being said, let’s get to it! So, I have a total of 8 games played, only 1 new. It brings me to 33/500 games played, 6/50 new titles played. This ties January 2016 in total games played. Finally got in a few games this week. I think I’ve managed to narrowed down my deck focus to the Shadow Paladins. Kagero will always engulf my heart in the flames, and Link a Jokers are fun, but there is something about the Shadow Paladins that are just amazing. Still haven’t had a chance paint or assemble any more figures, but we did manage to get a game in. It was a four player game, modifying a scenario from the Suicide Squad rule book. It was fun but we still have a lot to learn behind the game. So Relic Knights is a game I’ve been interested in for a while now but haven’t really talked about. 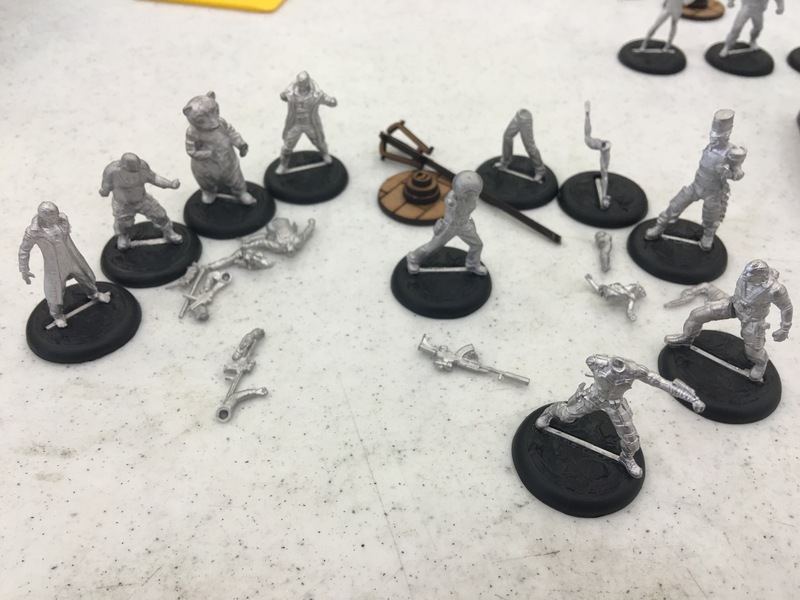 When I first looked into possibly dipping my toes into miniature gaming, I researched quiet a few to see where my head would be at in terms of interest. I narrowed it down to three at the time, with Relic Knights making the tight cut. Fastforward to Saturday morning and I received a text from my friend asking if I’d watched the newest Weekender from the crew at Beasts of War. 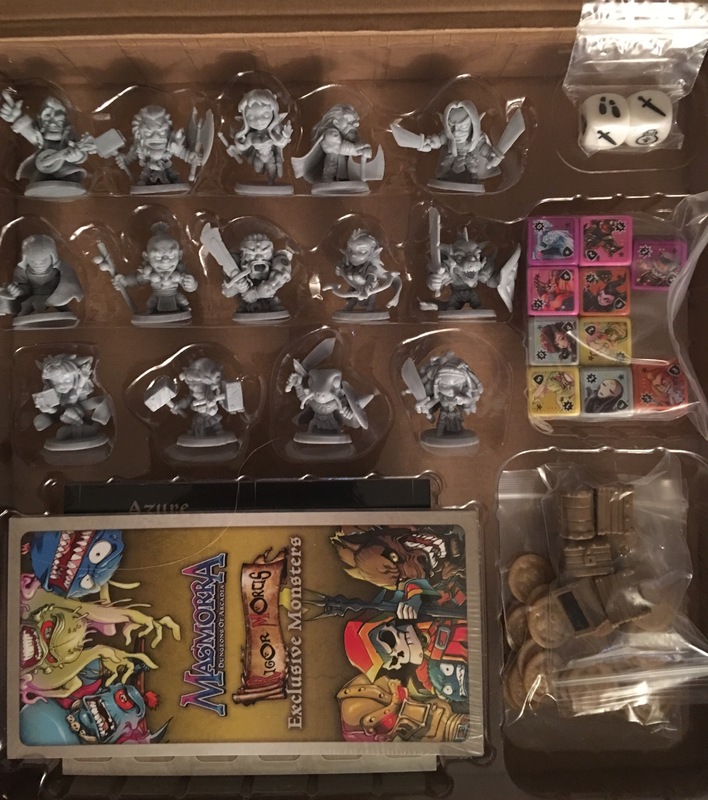 They had just wrapped up a week of coverage on Relic Knights, giving away a few starter battle boxes. Evidently I won a set! That seems to be all from the week (last week). Happy gaming! We regret to announce that BT05 “Trance Re:union” shall be the last product we are releasing for the English edition Luck & Logic. Words cannot express how much gratitude and appreciation we have for everyone who is a part of our Luck & Logic community. After the release of BT05 “Trance Re:union”, monthly shop tournament support will continue till the end of December 2017 and there will be a slight change to the Japanese edition tournament scene. Starting from February 1, 2017, English edition cards can be used in the Japanese edition tournaments held outside of Japan. Please also note that only English edition cards are allowed at English edition tournaments. As part of the Bushiroad Championship Series 2017 lineup as well, Luck & Logic Regional Championships will be held at 8 locations worldwide^. This is the largest Luck & Logic tournament we are holding, and we hope everyone participating will be able to enjoy it to the fullest. Winners of each Regional Championship will receive a fully sponsored invitation to Japan in the year 2018 for the World Finals. Fans of the Luck & Logic animation will have to wait a little longer for more news on the second season, as some details are still being finalised. Once again, for the second time in as many weeks, I find myself with one less game to look forward to. The saddest part of this one, as opposed to Panini’s Dragon Ball Z, this was not a game running on nostalgia. It was a complicated game with deep mechanics that was as close to replicating a strategy game in a collectible card game as you could get. While the game will certainly continue and thrive in Japan, it’s dead to the rest of the world. The exception being, possibly, in areas with high enough volume of Japanese speaking gamers. Every where else, though? What store in their right mind would dedicate game space to it? I certainly know none of my shops will. Lack of advertising: Save for “commercials” during episodes of CardFight Vanguard on YouTube, there was zero marketing for this game. The on,y time I saw any type of news articles was via iCv2. However, they report on the slightest press release (case in point- They reported that Dragon Ball Z’s final set, Awakening, was actually called Ascension). Great site, though, vist daily. 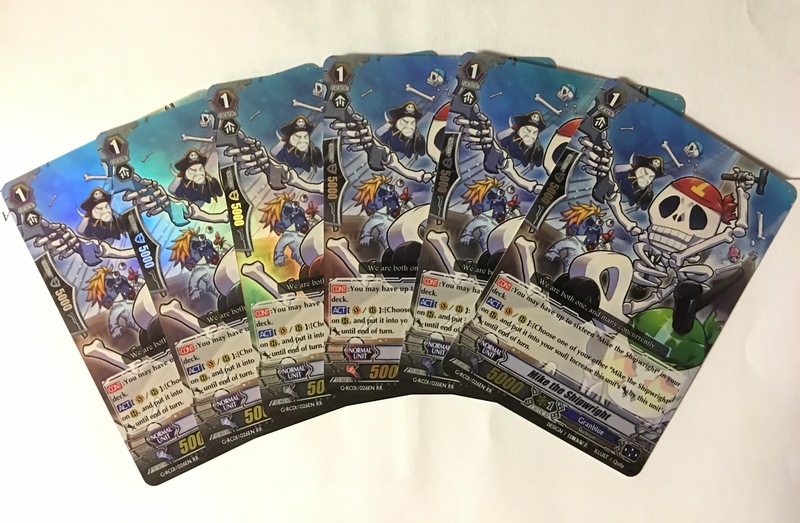 Tournament support was nearly non-existent: During its first year, if you want to call what we got a full year, Luck & Logic events at official Bushiroad tournments were regulated to side events. It was like they were afraid to try and push the game in any direction other than standby. Way back on February 5, 2016, I wrote about my excitement for the game’s release. You can read that article here. It wouldn’t be until June 24, 2016, that the game would finally release in English. I was beyond hyped for this game and I did everything I could to get the game off the ground in my area. What I cannot fathom is Bushiroad’s disregard for making money (or any game company for that matter). They make great games. Their card games are some of the most fun you can get in a collectible care game, beyond (in my humble opinion) what Magic the Gathering or Pokemon. The ideal that they could be positioned to take away any of the market share from the Big Two and not want to is something I am unable to fathom. However, that is a discussion for another night. For now, I shall just pour a drink for my Chole deck that could have been. 7 games played, with 1 being a new title. 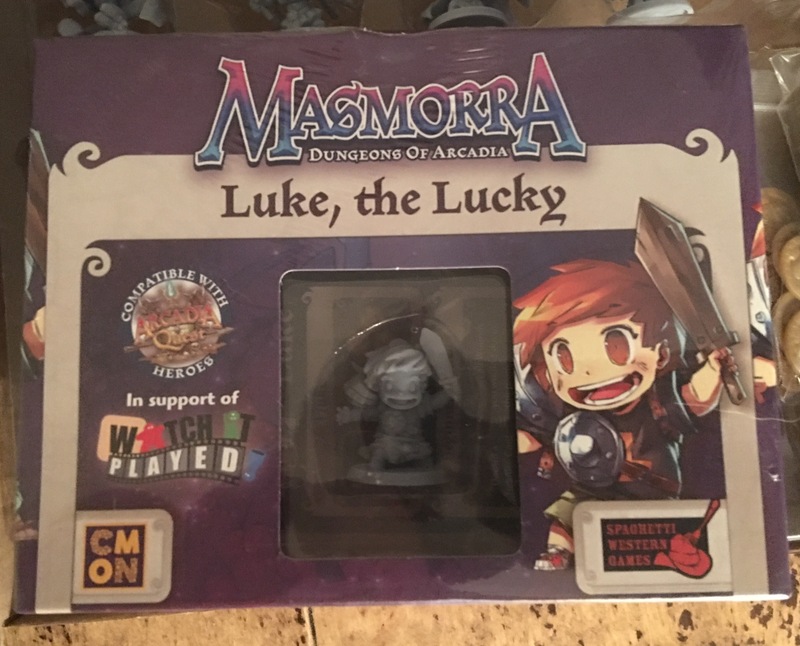 This brings our totals to- 25/500 games played, 5/50 new titles played. I played 33 games in January 2016. I would like to try hit 34 games at least, which should be possible with a little over a week left. I didn’t get a chance to play any of the game this week. 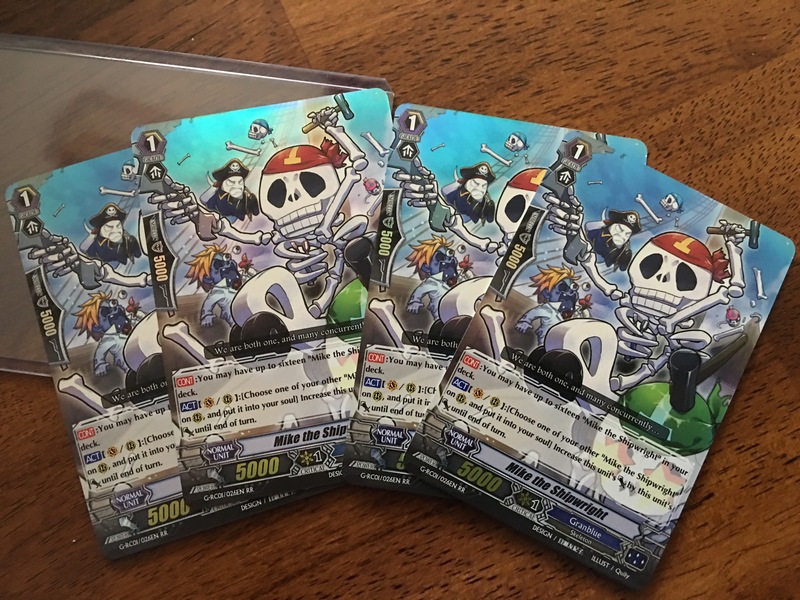 Which is fine as I am still working on building that mythical Mike the Shipwright deck. Speaking of, I got in a second order of them. I have 10 now, only 6 left to go. 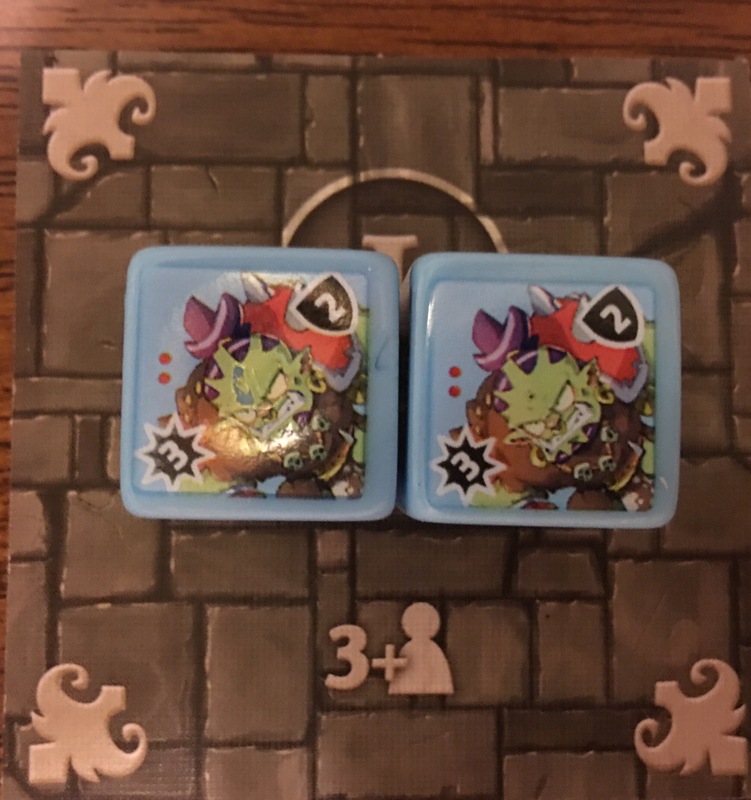 Damaged die in the left, correct on the right. Either this was intentionally damaged from the shipment or it occurred after our first game. First, the play surface was 100% clear of any and all nonessential components or debris. Second, I even relocated out cat until another room to make sure she didn’t attack/play with the pieces. Either way, this is a shame considering the cost and length of the project. 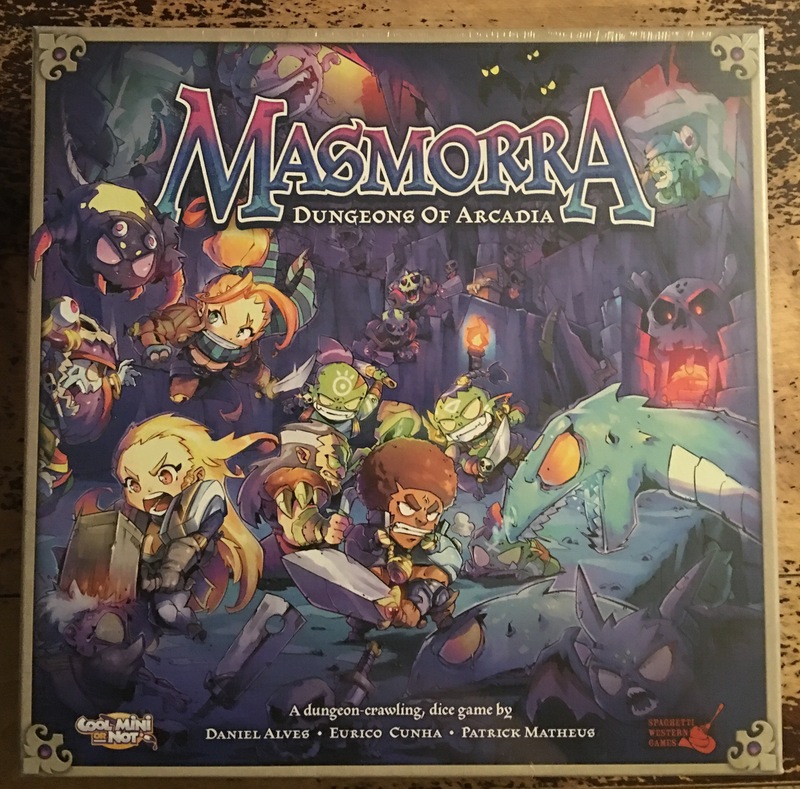 This is even more shameful given the early release the game got at GenCon 2016. That being said, this definitely a blimish towards an otherwise great game. 10 out of 18 miniatures broken, plus 1 out of 4 lamps. Luckily, with the help of our Miniature Guru, Scott, I was able to repair them all and get them primed prior to having to go to my normal job. After getting them primed, the only remaining casualty was the knife on the Joker henchman’s arm. Again, another miraculous repair job thanks to Scott. That pretty much wraps up our week in the hobby. Happy gaming! In an attempt to keep myself better focused in the new year, I am going to do a weekly update on the major areas of the hobby. Of those 4 games (amassing 6 total plays), 2 of the games were new to me. Those two being the Batman dice game and Billionaire Banshee. So this is something new for me. I’ve never assembled miniatures before. The closest to miniature gaming I’ve accomplished has been Heroclix over the years. My brother got me so much more to add to my Suicide Squad box. I’m now up to that set as well as the Joker crew and Halrey crew set, as well as classic Harley Quinn and “Killing Joke” Joker. I got Rob Nightwing, Cyborg and Kid Flash so he could have figures in the game he would enjoy playing. I also got some terrain pieces from my Secret Santa at work. These were fun to assemble. With the exception of a handful of issues, rather proud of these. I also managed to get the lamp posts assembled. Totally proud of these. These are definitely a growing interest, especially considering the other games Knight Models are doing. New set launched this week- Revival Collection Vol. 1, but I haven’t bought any yet. First, my local shop didn’t per usual. So I’ll have to order online. Second, with the cancelation of Dragon Ball Z, I find myself debating on what deck I’d like to focus on. 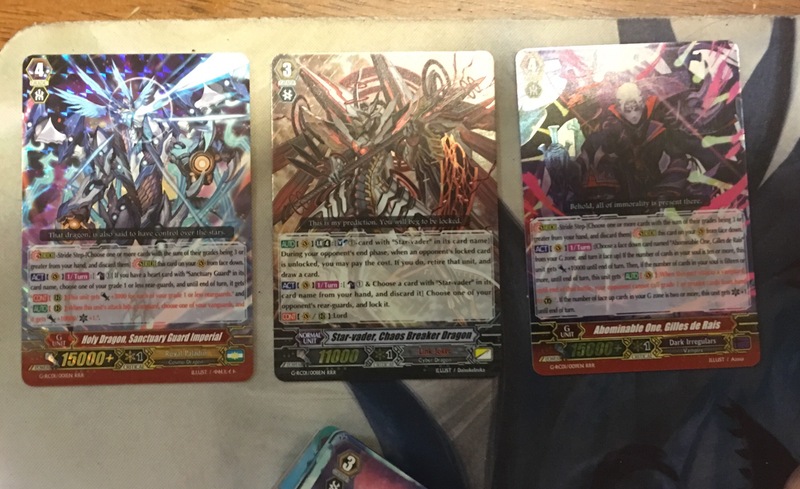 Right now, I have a Kagero, Link Joker and Shadow Palin deck. None are competitive at all and I’d like to try playing some tournaments. So I’m looking at singles vs what is coming set wise. Also, I didn’t mange a single match this week. See what I did play above. In coming weeks, this will definitely be more organized. I have some ideas of what I’d like to accomplish with this blog, but more on that soon. This wasn’t what I originally wanted to talk about for my first post of 2017. I had this gut feeling that something like this was about to happen yet I couldn’t have expected the way it had happened. “For the last two years, Panini Games was privileged to bring you the Dragon Ball Z Trading Card Game. As many of you know, Bandai (the master license holder for Dragon Ball universe properties) is releasing a trading card game based on Dragon Ball Super in 2017. So as to not over-saturate the market with similar products, Panini America will not be continuing with the Dragon Ball Z license. From the sparse known details, Bandai’s new game and our DBZ TCG are vastly different. We want to thank all of our fans for their support of the game. The fanatical enthusiasm for the DBZ TCG carried the game through seven releases and helped the DBZ TCG to earn several accolades – including two of the highest attended events at Gen Con 2015 and 2016. We were also able navigate two seasons of Organized Play – including local tournaments with countless promos and other prizes, over thirty Regionals and premier-level events, and two highly competitive World Championships. While this chapter of the DBZ TCG is coming to an end, Panini Games has numerous new products scheduled for 2017. 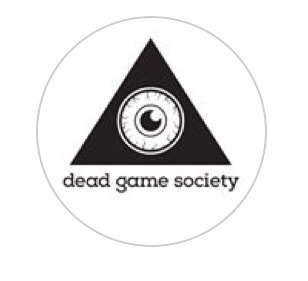 Look for continued Afterworld content and support, along with a new trading card game based on DC’s portfolio of comics, movies, and video games – as well as several other exciting tabletop board and card game offerings. First, this was the first substancal blog post from them since the several recap enteries around the World Championships in November. The last several entries were bare bones and should have sent up red flags. They come out of no where and just drop it. No real warning or transition period. Second, in the same entry that they announced they are ceasing the production so as to “not over-saturate” the market, they sneak in an announcement about a DC trading card game. The DC Comics portfolio of hobby games ranges the gambit of deck building games to miniature games. Two Dragon Ball Z games are in no way over-saturating the market. This goes doubly so if a.) the games plays completely different and b.) Bandai’s game is focused on Dragon Ball Super and Panini’s was focused on the Z era and earlier. 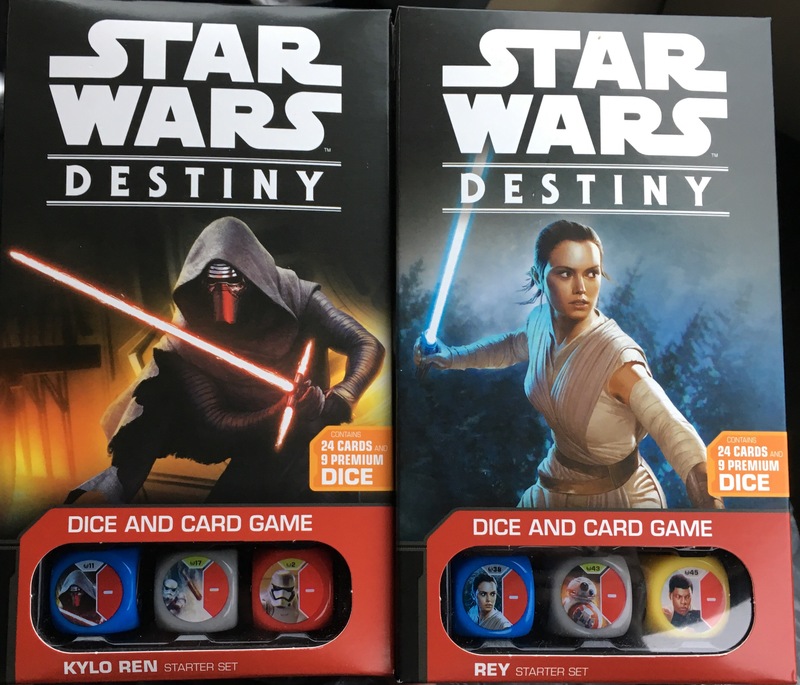 Finally, the card selection and lack of play testing regarding Awakening, their last and final set from October 2016, becomes so much more clear as a cash grab that it is offensive. From Goku’s interaction with Unleashed to the inclusion of, essentially, an Ultra Rare Destructo Disc for Saiyans, they only cared about pushing what was to be their final product than adding anything of substance to the meta or the game at large. That being said, however, I will miss this game. When the game was first released by Score over a decade ago, I went with Score’s other trading card game: Yu Yu Hakusho. This was a rare second chance in a hobby that doesn’t usually see them. This game was something that drew my brother and I closer together as card players. It allowed us to meet new people that we probably never would have met or associated with otherwise. It also opened my mind to proper deck building, meta appreciation and theory crafting. I know that the game died once, was kept alive via a dedicated online presence and was ressurected. There are already people talking about continuing it and hoping the Dragon Balls are called on once more for Shenron to bring back. I, for one, just don’t have that kind of faith or hope. As I said, I’m grateful for the last couple years. My only regrets are that I didn’t try attending more tournaments and that they didn’t make it to Majin Vegeta and Majin Buu. So for now, I’ll pour a drink and lock the decks away with the Enternal Dragon.